It’s only pre-season, so I don’t want to sound dramatic when I say that it is just too soon to see the Eagles and Patriots share the same field, yet Tom Brady and Co.’s strong performance in a 37-20 victory helped ease the anxious fans in Foxborough. Brady, who played the entire first half, was able to pull off an outstanding 172 yards passing, finishing 19-of-26 against the Eagles. We also saw an overall cohesion on defense and impressive offensive accuracy. Most noteworthy, linebacker Ja’Whaun Bentley pulled off a skilled 54-yard touchdown off of a fumble recovery. Bentley fits in perfectly with the defense; filled with powerful rush edges like Derek Rivers, Adrian Clayborn, and Dont’a Hightower. “We had our moments,” Patriots coach Bill Belichick said after the game when asked about the resurgent pass rush which is a glowing review from the tight-lipped coach. 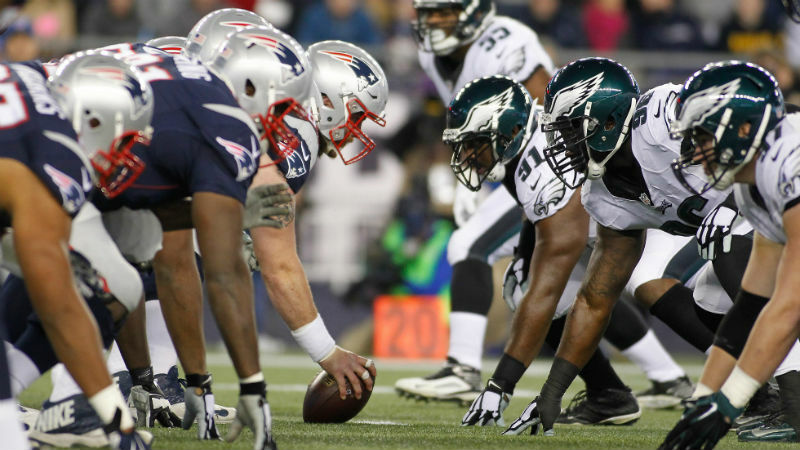 The defense did their job putting consistent pressure on Eagles QB Nick Foles, with a total of eight sacks. It’s clear that the Patriots are making some exciting plays this year, which really gives hope to a previously (somewhat) tame defense. Specifically, Adam Butler – second year tackle out of Vanderbuilt, was in on a sack with help from Clayborn. Patrick Chung had a strong sack as well — showing New England’s defensive dominance. Other notable plays included the all too familiar Brady to Chris Hogan touchdown, the Clayborn forced fumble allowing Bentley to recover the ball for a TD, and the Brady to James White TD. Brady was passing to White pretty steadily during the first five drives of the game – ultimately getting the ball to the five-yard line. The Brady to White TD later in the game was due to some great blocking downfield and shrewd patience on White’s behalf. “I feel like he never makes a mistake,” Brady said when asked of White’s importance in the offense. Julian Edelman showed up as well — ending the game with over 20 yards, consistently catching short but accurate throws from Brady. Jeremy Hill, who made a large impact in the first game, also had a spirited offensive presence this week. On the down side, Isaiah Wynn will be out for the season with an Achilles injury. He’s a player that shows versatility on both sides of the O-Line and really showed promise in the first preseason game. It is a real shame that one of the first rounders is out with a season ending injury but if rookie running back Sony Michel can get healthy, he’ll make a difference on the offense. Next up are the Carolina Panthers, and if this week’s cohesion and impressive play calling can carry over down in North Carolina, it should be another favorable outcome for the Patriots. Casey Grace Murtagh is an actress, represented by WSM Talent. She has a passion for writing as well. Casey recently created and starred in the film “Exit 7” which is produced by her own production company— 17 Grace Films. She can be seen in multiple commercials from; Build-A-Bear Workshop, to the New Hampshire Lottery, to Friendly’s! She has also worked on Internal shoots for TJX and Care Academy. Casey has been in a number of independent films and television series’ including; “Testing: The Series” by Angel wood Pictures, “Rose Force” by Chip Perro, “Inevitable War” by Director Thomas Bo, “The Making of Dark Harbor” by Matt Melia and Thomas Barbo, and MANY more! She has starred in many plays and musicals, and went to Walnut Hill School for the Arts for Writing & Publishing. She was President of “Ready Set Punchline”, the premiere Stand-Up Comedy Troupe at Boston College. She is trained in Meisner acting from Boston College, where she graduated in Spring 2017 with a degree in Theatre.